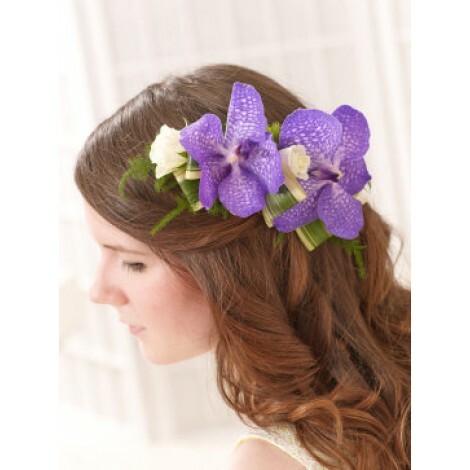 This stunningly striking Vanda Orchid hair comb is an ideal accessory for any special occasion or big day. 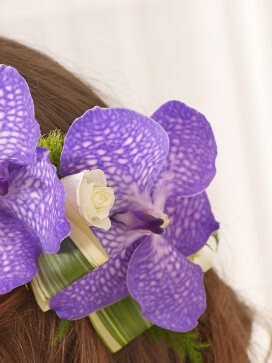 The luscious and vibrant Vanda orchids are among one of the most eye-catching varieties of orchids there is. This adorable hair comb is complemented by the addition of cream spray roses, highlighting the vibrant blue / purple shade of the orchids. 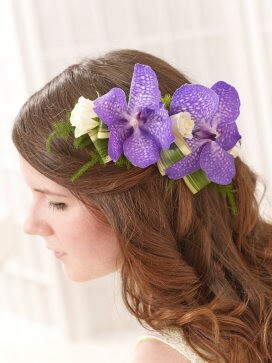 This stunning floral hair accessory features; 2 blue Vanda orchid heads and cream spray rose heads with green trick dracaena and fern - perfectly set onto a hair comb.